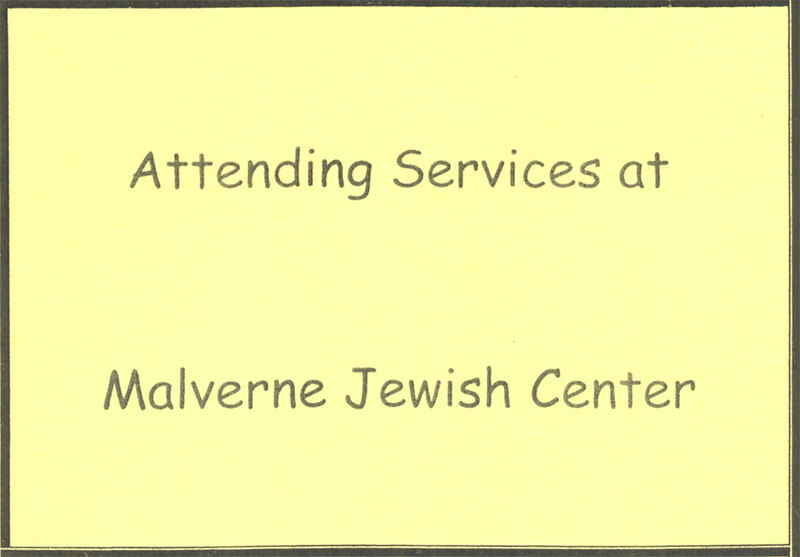 The Malverne Jewish Center is happy to welcome you to High Holiday Services this year; thank you for choosing to join us. Below is a card that will allow you to park for longer than noted on the signs without concern. Please make sure it’s displayed on your dashboard. Metered spots do require payment. 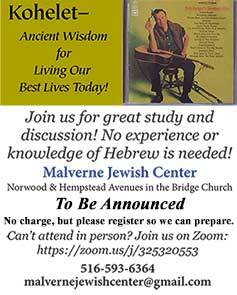 Sunday, October 2: 6:00 p.m.
Monday, October 3: 9:00 a.m. and 6 p.m.
Tuesday, October 4: 9:00 a.m.
Shabbat Shuva, Saturday, October 8: 9:30 a.m. including Torah discussion.